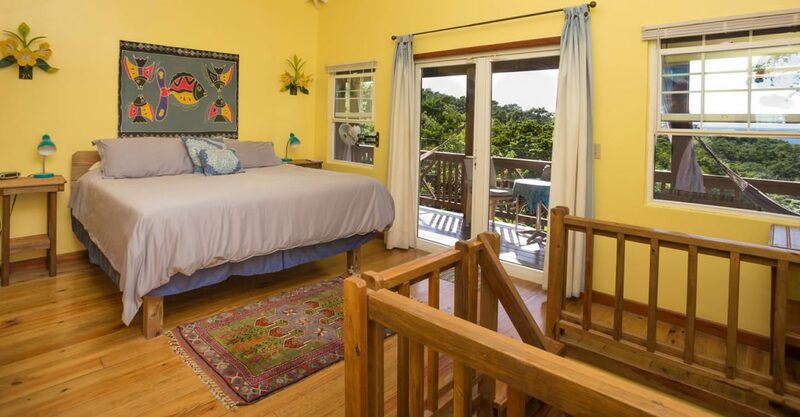 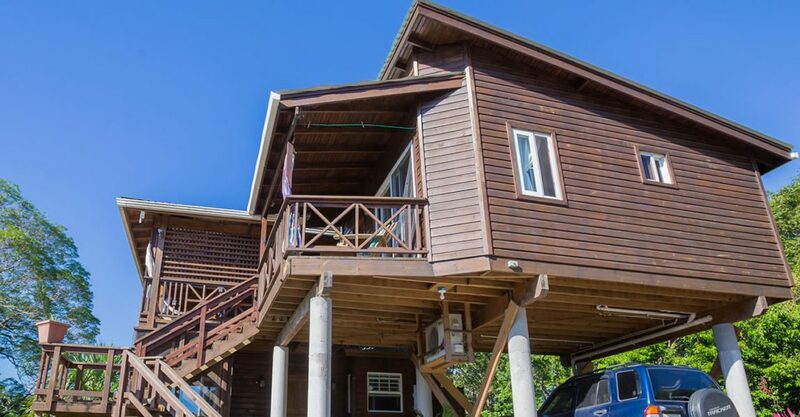 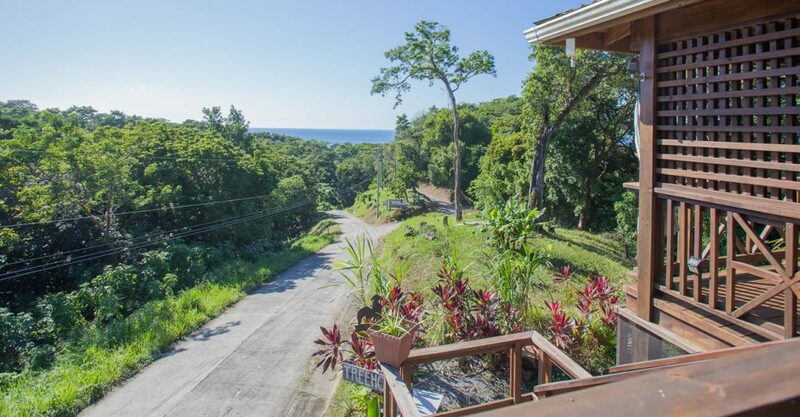 3 bedroom home for sale in Roatan nestled into a hillside on Tamarind Drive just 15 minute’s walk from West Bay Beach. 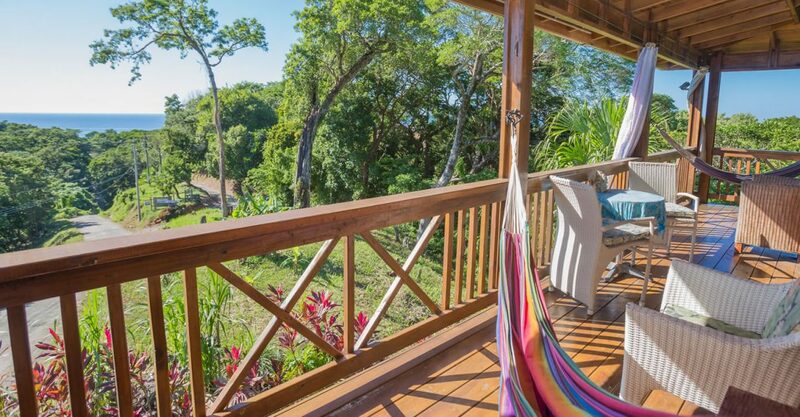 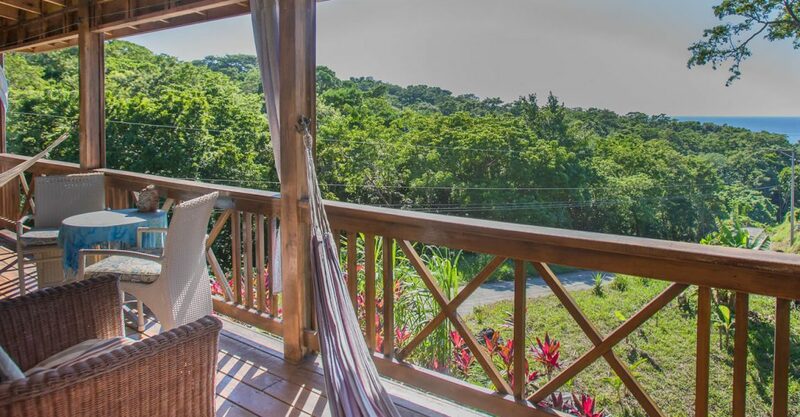 This tropical island-style home is nestled into a lush green hillside on Tamarind Drive just 15 minute’s walk from West Bay Beach – one of the most beautiful beaches in Roatan. 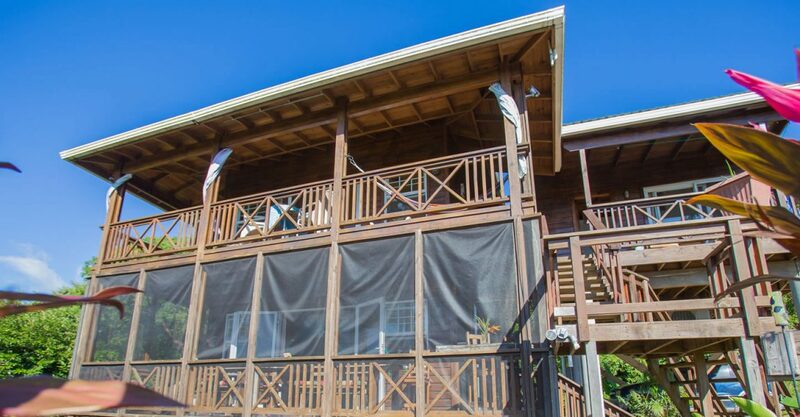 Offering spectacular Western Caribbean views and cooling breezes, the property comprises the main plus plus an adjacent apartment and a separate suite offering a total of 3 bedrooms and 3.5 bathrooms. 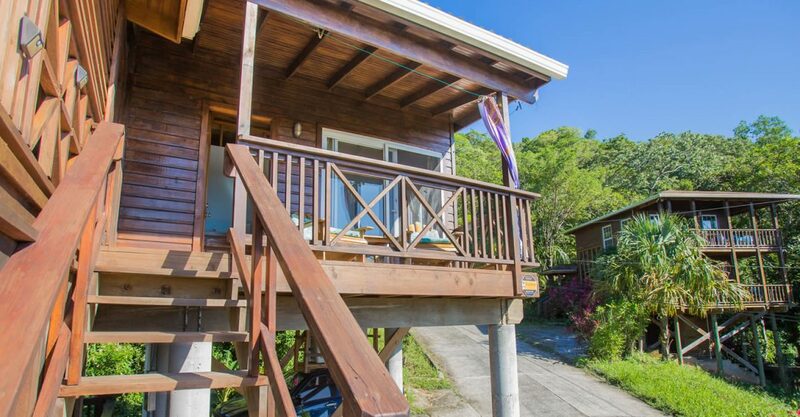 If you’re looking for homes for sale in Roatan offering flexibility then this property would be ideal. 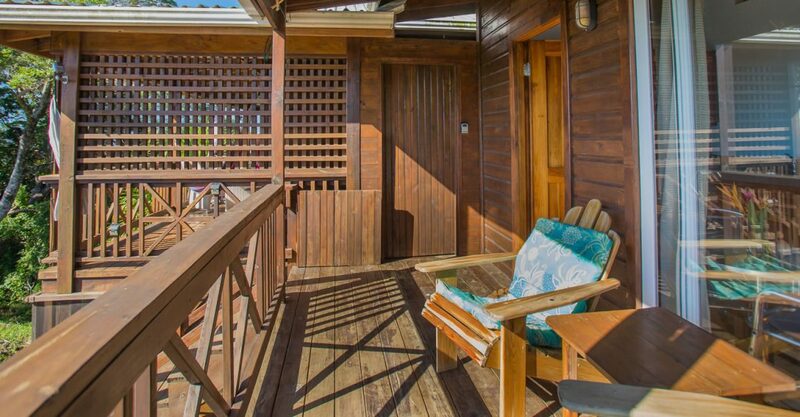 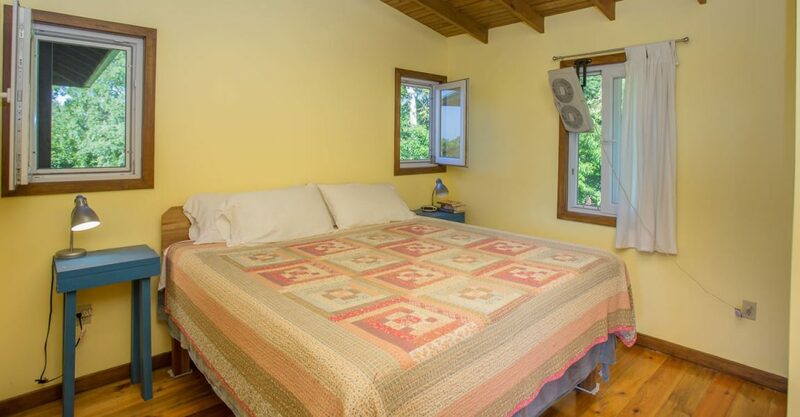 With 3 separate units, this property would be perfect for enjoying personal use of the main house while generating rental income from the other 2 units or providing privacy for visiting guests. 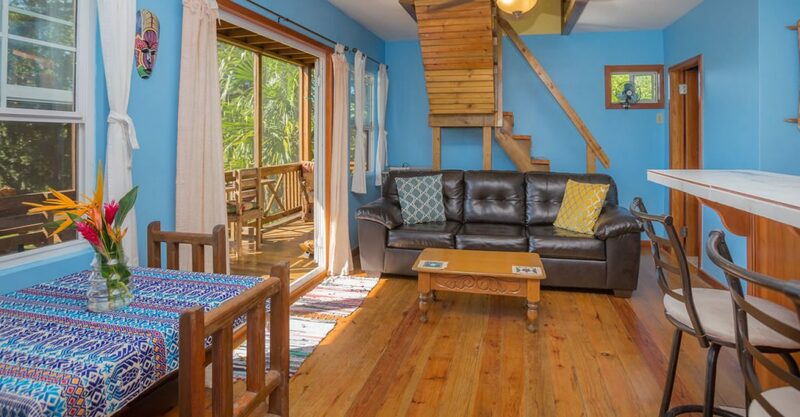 The main house features an open living dining kitchen which flows out to a screened in porch and an open air porch with extra outdoor living space. 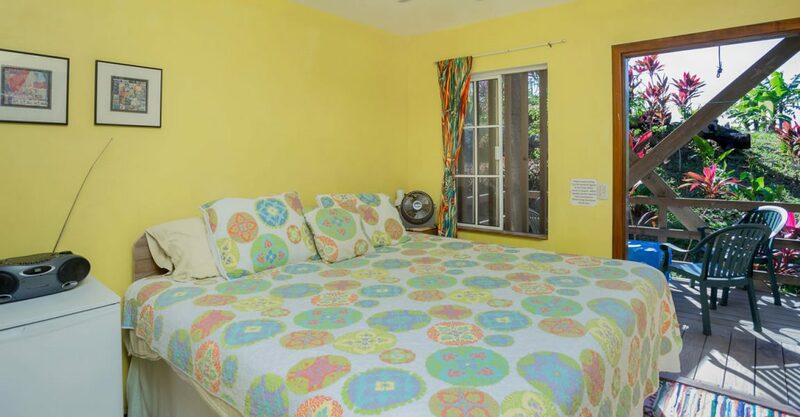 The master bedroom offers a half bath, walk in closet and owners lock off. 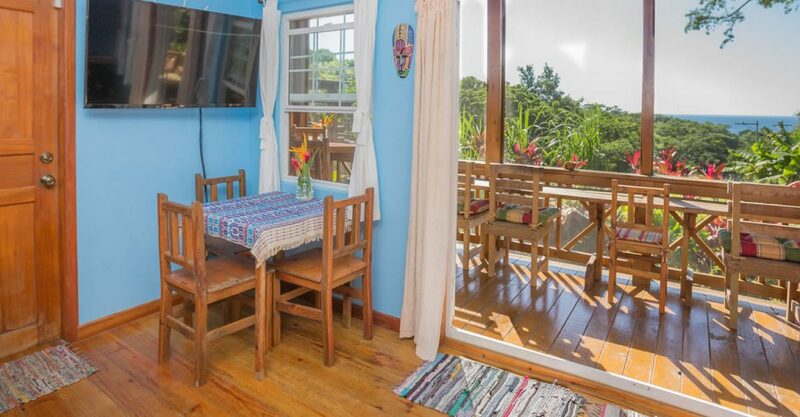 The adjoining 1 bedroom apartment has its own private entrance and private ocean view terrace. 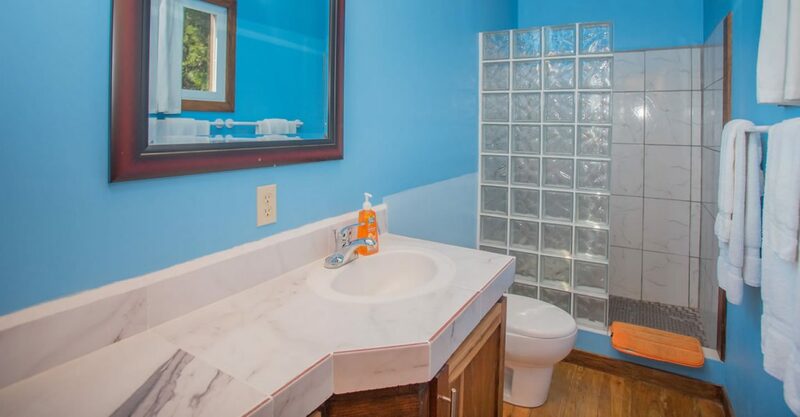 It also has a separate electrical meter to facilitate rentals. 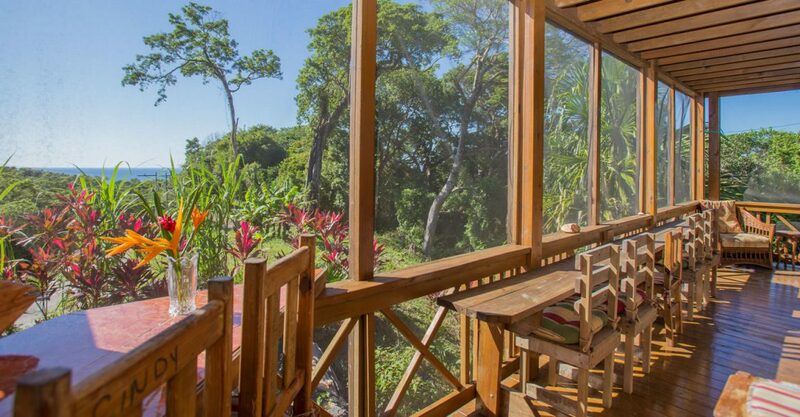 The lower jungle suite also has its own private entrance and private patio which enjoys views over the tropical gardens. 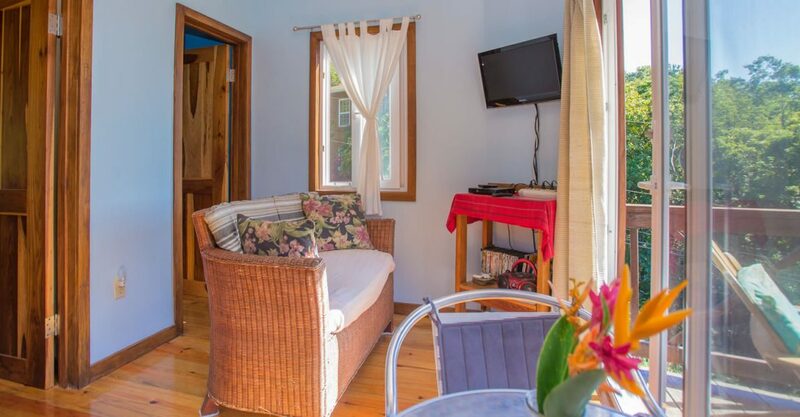 This suite has its own private bathroom and large closet space. 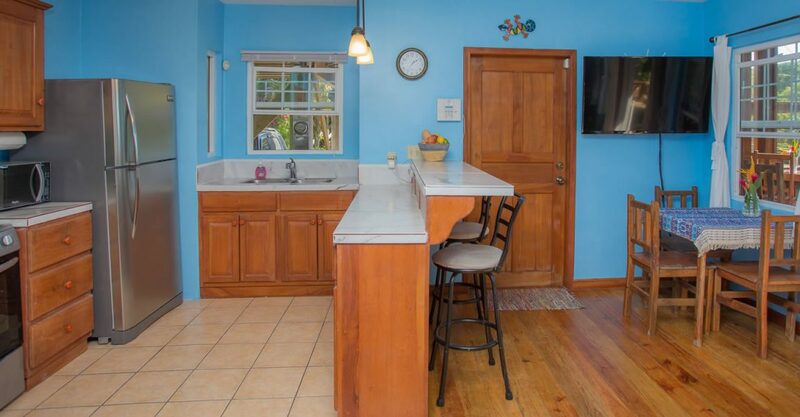 There is room to add a kitchenette if desired. 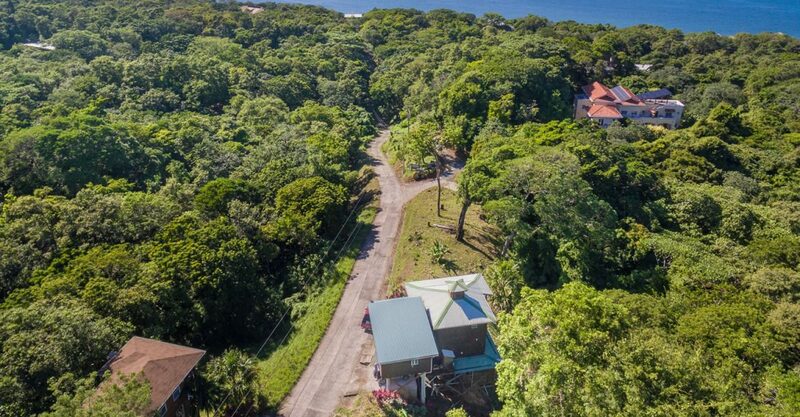 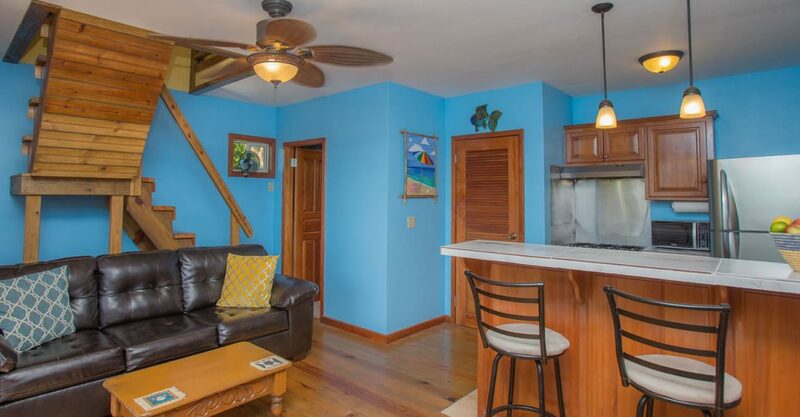 This home is offered fully turnkey and comes with 2 chamber septic system, 5,500 gallon cistern with deeded access to the community well and deeded beach access.